We all know how the winds whip across the West Texas plains, but here’s a factual tidbit which you may not have known: many studies show Lubbock, Texas as the third windiest city in the United States. Yes, nestled in between No. 2 Rochester, Minn. and No. 4 Boston, MA, the average wind speed in Lubbock has been clocked at 12.4 miles per hour. Keep in mind that this is average wind speed, so our area is often hit with much-higher-velocity bursts. As you can imagine, the windy climate stirs up all the dust, pollen, as well as other allergens and contaminants and blows them every which way – including into your home. That’s why your friends at Armstrong Plumbing, Air & Electric want to remind our customers about the importance of indoor air quality. Many times, the IAQ is worse than the actual air quality outside. This is due to several factors, including your home’s HVAC system circulating airborne germs and dirt throughout the home. This is the place to start and it is easy to do yourself. 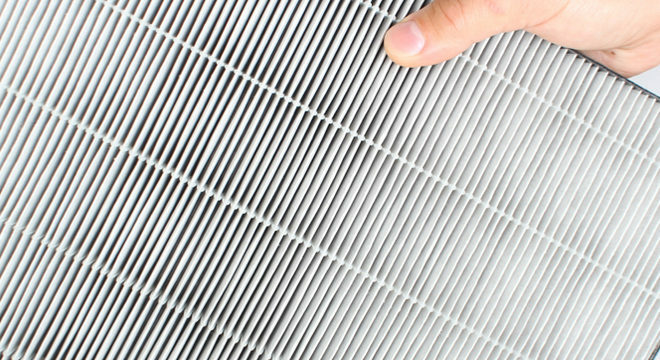 Replacing your air filter regularly is crucial to maintaining healthy IAQ. Armstrong can also test your air and provide you a report in as little as 30 minutes with our AirAdvice for Homes® indoor air quality! Regular inspection and tune-ups of your home’s HVAC system will keep it running efficiently and will help detect and prevent bigger issues and breakdowns. It also helps your system control and maintain superior indoor air quality. Our professionally-licensed and certified HVAC professionals can make it easier on you to schedule and stay on top of maintenance when you sign up for the Armstrong Service Agreement Plant (ASAP). ASAP can be customized to fit your budget and service needs and includes annual tune-ups, free air filter changes, priority service, and other benefits. If your system is experiencing frequent breakdowns and in need of what seems like never-ending repairs, it could be time for a system replacement. This is especially true if your system is more than 12-15 years old. The good news is that Armstrong offers a complete line of Lennox systems that bring efficiency and dependability to your home. With a new system installation, you can also ensure great IAQ with whole-home-humidifiers, air purification systems, and other IAQ solutions such as ultraviolet lights systems. Make sure you keep an eye out for Armstrong’s replacement specials in the coming months! The West Texas winds are sometimes hard to deal with and can put a burden on your home’s HVAC system. Better Call Armstrong today for a thorough inspection of your system and your home’s indoor air quality. We have served the Lubbock area since 1934 and stand ready to answer your call. Don’t forget to check us out of Facebook and Twitter, too!